The Who, Where, What, Why and When in your area. Local news, events and services at your fingertips. Advertise locally, regionally or nationally! 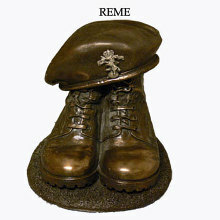 Army, Navy, RAF & Military products & gifts for Armed Forces personnel, families & veterans. Contact Us or Shop Online for a really unique gift! RRH Saxa Vord Photos - new and old! This portal gives you super fast access to local news, events and info around Westerskeld and the Shetland area - plus the very best of the internet! Enter any full UK postcode into the box and all the local news, events and links currently set for RRH Saxa Vord will relocate for you! If you can't find something use the Search Box. The News Profile is our most popular feed but you might like our new Sports board to keep you right up to date! Do feel free to contact us to correct or contribute to forcessaxavord 2day. Westerskeld Area - zoom and drag your local map for ZE2. Wrong map? Enter your postcode in the box top right. Watch your whole portal change! Zoom out for more results.